8" Long. Running to his burrow or nibbling on the garden, the soft and timid bunny rabbit is a favorite animal of young children. 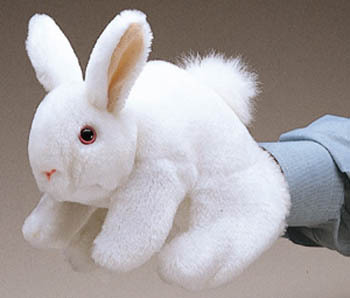 This Bunny Rabbit puppet is just hte right size for cuddling, whether on or off the hand of Mom or Dad.